Wisdom teeth are also known as third molars. Their name came from the fact that they are the last teeth to come in and it typically coincides with coming into adulthood and wisdom. They usually come in between the ages of 17 and 21. Often times, when they arrive there is no room for them or they are positioned incorrectly. This is considered an impacted wisdom tooth and it (they) need to be removed to prevent future oral problems. If your teen needs to have his wisdom out, summer is a great time to do it. Unrushed Recovery– Missing school is very difficult for teens these days. The amount of work, tests and homework they have can be almost unbearable. For this reason, missing school can be a huge problem. If your teen feels it necessary to rush back to school so she doesn’t miss anything she may prematurely go back and compromise the results of her surgery. Allow your teen to recover in an unrushed and relaxed state of mind. Food Preparation– After wisdom teeth removal it’s important to follow a liquid and or soft diet afterward. This type of diet can be challenging to eat when you’re away from home. When they’re home they can drink all the milkshakes, smoothies, yogurt and mashed potatoes that they want and not worry about how to take it to school. 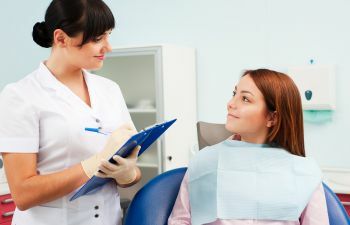 Proper Post Surgery Care– After wisdom teeth are removed, it’s important to maintain a clean mouth and proper oral care to prevent infection. Gargling warm salt water is one important step. All of the steps are performed easiest from the comforts of your home. Don’t put off wisdom teeth removal if your teen needs it done. Call Mansouri Family Dental Care & Associates today and allow us to exceed your expectations.